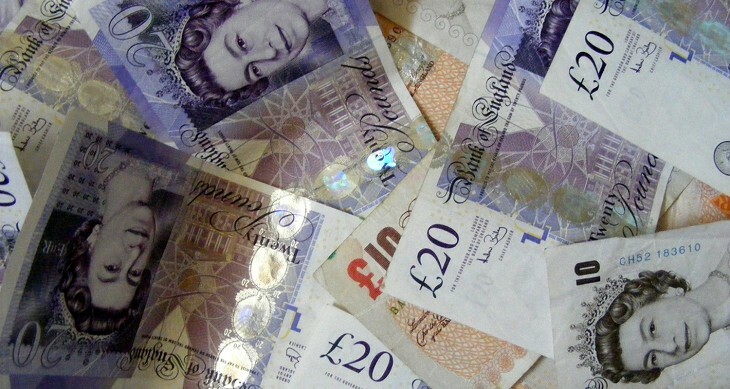 The UK Government-backed Angel CoFund is marking its first anniversary this month. Supporting syndicates and making use of the Government’s Regional Growth Fund money it has provided £24 million ($38.5m) in funding to high-growth British businesses. Over the year, the Angel CoFund has already invested in 18 companies. Every £1 put in by the CoFund has leveraged £3 from business angel syndicates. The companies that have received support from the organisation include HipSnip, Upad, PlayJam, Phase Vision and Style-passport. It’s a varied selection, proving that the Angel CoFund is less about specific sectors and more about the possibility of high growth for individual companies. George Whitehead Chairman of the Angel CoFund and The Next Web had a chat with him to find out more about how the UK is looking for investment. Whitehead has a particular interest in syndicates as he feels there is less in the way of risk and this also serves startups and companies that require the full amount they ask for when it comes to securing funds. “The big message is that most angels tend to under fund companies. Even if a company comes in and says they’re looking for a million pounds. The angels might muster up 600 000 pounds or something like that between them and they’ll go ahead and complete the deal on that amount and then be upset that they haven’t fully funded the company. Whitehead says that the possible weaknesses in deal making is not just down to inexperienced startups taking the first deal they are offered but that investors are often also conservative while they learn the ropes. The current state of the European economy is bound to make some investors nervous, but Whitehead believes that while there may be fewer investments, there are currently smarter choices while times are tight. The broader economy is not the only thing that might be making startups seeking funding a bit jittery. The long forecast Series A crunch is now being tipped to shake down through other tiers of financing, but Whitehead appears to be optimistic in the face of this change. “I agree the valuation of seed deals looks like it is beginning to balloon, particularly with SEIS tax incentives in the UK, but part of our role is to use our investment committee and the entire investment process to put an experienced sanity check on the valuation process, knowing that further funding is almost inevitable for the majority of the businesses we back. If we disagree with the valuation we’ll walk away”. The £50m Angel CoFund has been created with a grant from the Regional Growth Fund and invests alongside business angel syndicates from across England in order to support high potential SMEs. The fund is able to make initial equity investments of between £100,000 and £1 million to SMEs alongside syndicates of business angels, subject to certain geographical restrictions and an upper limit of 49 per cent of any investment round. Investment decisions are made by the independent investment committee of the fund based on the detailed proposals put forward by business angel syndicates. The fund is not open to direct approaches but from individual businesses. Startups looking for investment need to attract the attention of an angel syndicate or network which in turn can bring the idea to the fund. But it seems that this might be a reflection of a change in the angels present themselves. Whitehead notes that many private investors do not publicise the fact they are looking for something to fund. So will the combination of government and angel syndicate funding continue? £50 million is a large commitment but of course it cannot last forever. Whitehead is pragmatic about the future but feels that the current success rate is a pretty good proof of concept. “I have to say that it’s a very clever model for the government of targeting money really high growth businesses because the government’s never been really brilliant at choosing which sectors are going to be hot next or which individual businesses are going to be hot next. So more small companies that are noticed by syndicates might have a chance to get the funding they need to get going. While there are nerves about investment and the economy in general, safety in numbers could also be the way to go for wise investors.